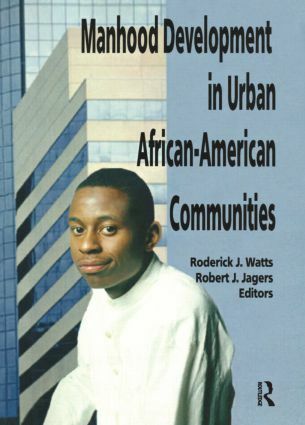 One of the first books to unite practice, research, and theory in addressing manhood development, Manhood Development in Urban African-American Communities aids in the construction of more holistic and progressive notions of African-American manhood. Proceeding from a psychological perspective, this text explores issues of culture and race as they impact on the cognitive, emotional, and behavioral characteristics of African-American boys and men. You will see how the development of self-esteem and self-image in African-American men are specifically affected by issues of gender, race, culture, religion, and oppression. You will see how the development of self-esteem and self-image in African-American men are specifically affected by issues of gender, race, culture, religion. The understanding of culture, oppression, and gender you’ll gain from this book will enable you to promote the positive development of young men. The themes of gender, oppression-liberation, and culture found throughout Manhood Development in Urban African-American Communities provide a broad scope for the inclusion of a wide range of perspectives and disciplines, ranging from the psychological to the political. This broad perspective will bring to light the specific ways in which we need to change things to allow our young African-American men living in urban areas to form healthy, positive images of themselves as individuals and as part of a greater society in which they often face grave challenges.